Getting faxes to work over IP usually takes a disproportionate amount of time and effort in any UC / VoIP deployment. Actually, that applies to any legacy analog data: modems, dial-up EFTPOS, franking machines – they’re all doing the same thing, taking streams of 0s and 1s and turning them into a convoluted sing-song for a companion device at the other end to decode. Assuming you have the core bits working (codecs in agreement, dial plans & timing), we Aussies have a fantastic test service available to use in Telstra’s “FaxStream”. 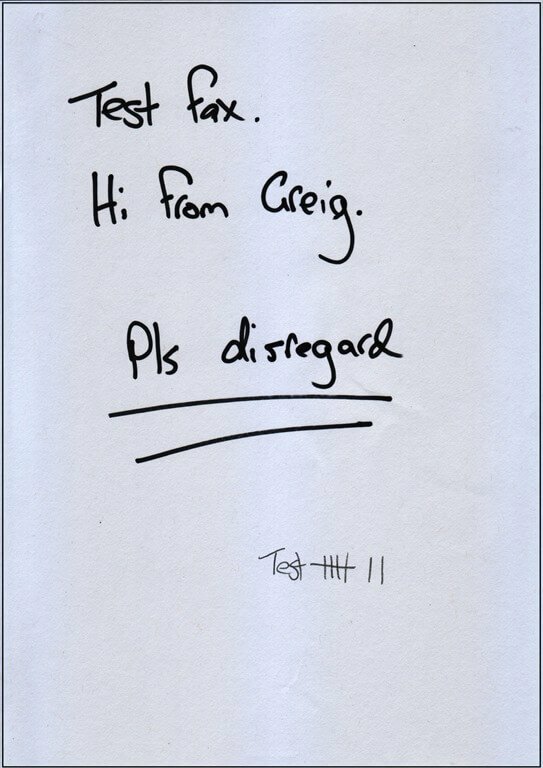 You simply send a complex test fax to 1300 368 999 & a couple of minutes later it will send you back a report. Note that for this to succeed you need to be sending CallerID from the line, or (and I’ve not actually tested this) have the correct phone number set in your fax machine so FaxStream knows who to call back with the report! The report above only scores a “Good” – but it kindly tells you how you can fix the problem. The Transmission Level (at -13.2dBm) is what’s pulling the score down, and most of us would respond to this by adding some gain to the line, thinking it’s too soft and can’t be heard, when in fact we need to do the opposite: TURN THE VOLUME DOWN! Look in your ATA/Gateway for some “gain” settings. These can be confusing, because it’s not always clear which direction the “Tx” (Transmit) and “Rx” (Receive) values are referring to, nor even if a positive value is a “gain” (increase) or a “loss” (decrease) in sound level. (My beloved old Nortel PABX family referred to these setting as “pads”, where a positive value “padded” (decreased) the level by a corresponding figure, and a negative number actually increased the level). If in doubt, make a big change to both: if they’re currently 0, set them to -6. 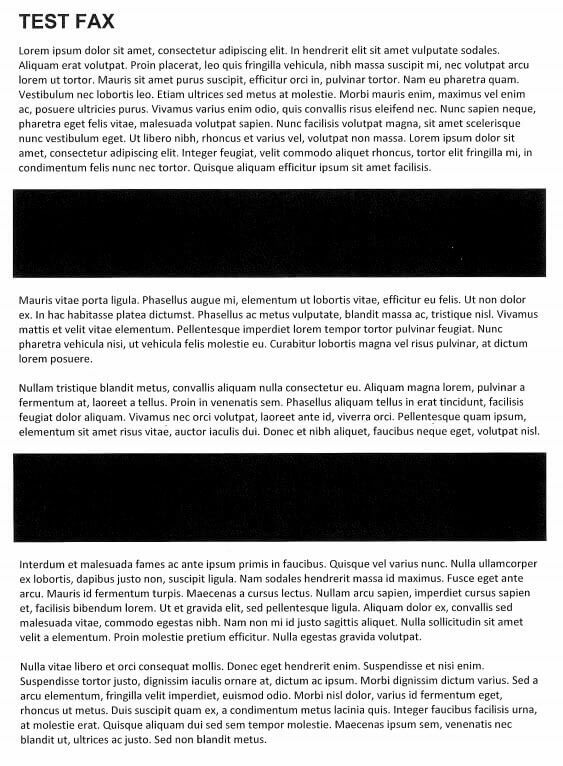 Re-test. No better? Try +6. Hopefully one of those tests alone should report measurable improvements in performance and you can refine it from there as appropriate. As I said in the opening, the headache of getting analog data reliably working over IP doesn’t just come from faxes. If in doubt (or you’re running out of ideas) – drop the transmit level from the peripheral device to the network/carrier and see what happens. 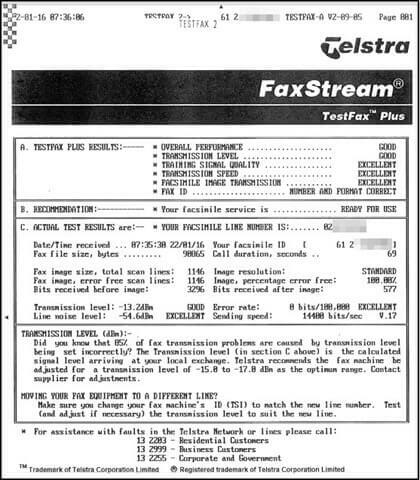 Reference: Gough Lui provides a very detailed walk-through of the FaxStream (pka ‘FOLDS’) service.